Following work that had been carried out on another project the clients contacted Alan C Riley Associates and asked for two small extensions to their home that would provide a study and a separate music room. The property had a south facing façade and an already sculpted garden, which allowed a further extension in the form of a conservatory to be added to the music room. 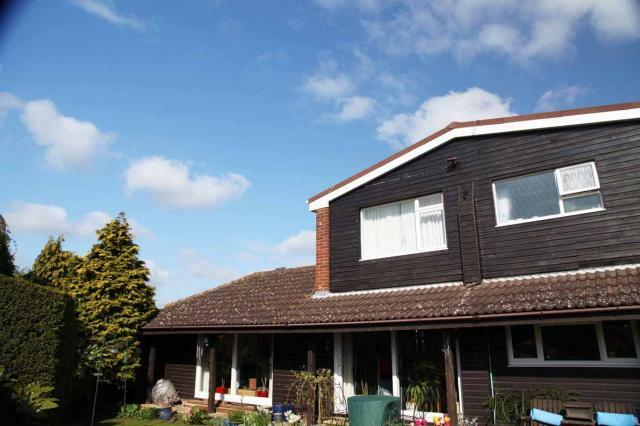 The existing house was already clad in timber boarding but it was dark and somewhat oppressive. 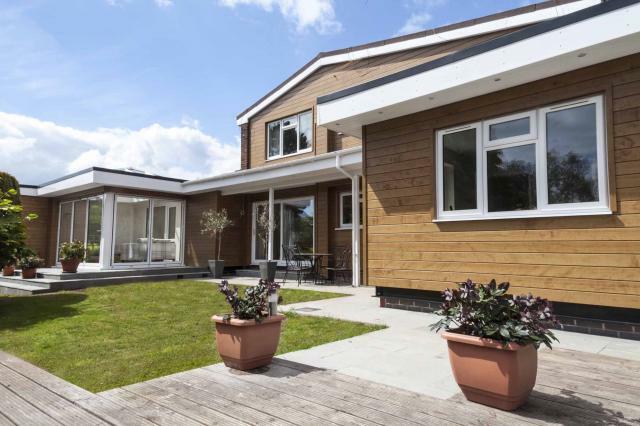 Alan suggested a durable timber cladding be used as this would not only improve the look of the existing, but would also provide a cohesive material that would bring all the elements together as a single composition. 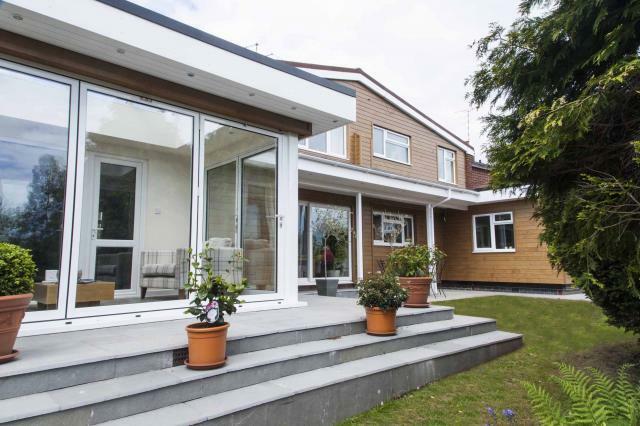 Since completion of the extensions the horizontal cladding has been used on the front of the property. Photographs below are courtesy of the property owner Mr R Bateman.